Maclean High School in collaboration with Desert Pea Media is pleased to announce the release of its second song and film clip by the group 380 Crew. The 380 Crew is a group of incredible, young First Nations artists from Yaegl country, Northern NSW. 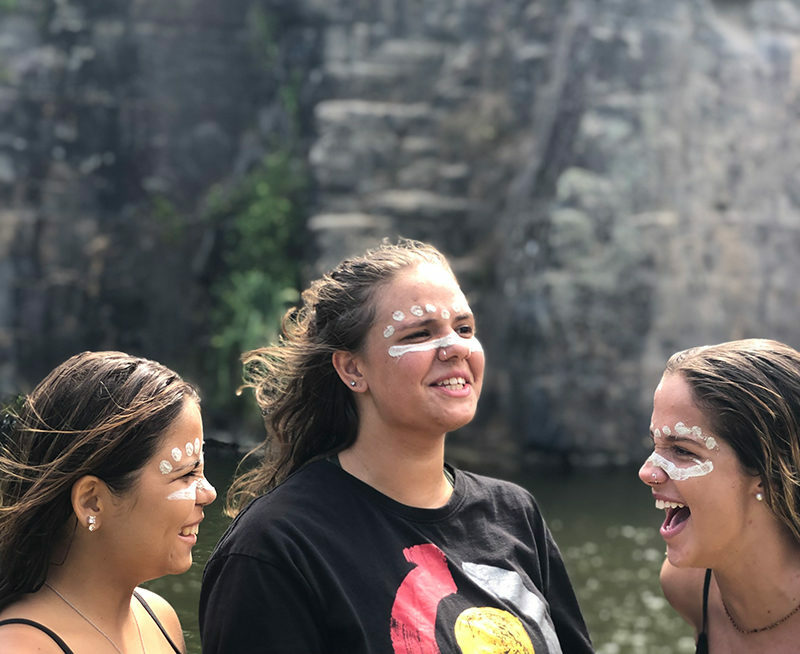 The group has evolved from a storytelling project with local Elders from Maclean, Yamba and surrounding communities, funded by The Yulgilbar Foundation, hosted by Maclean High School and facilitated/directed by charity organisation, Desert Pea Media. Their new song and film clip River to the Sea was released at Maclean High School on Thursday February 7. 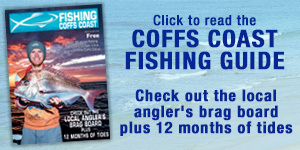 The song River to the Sea was filmed around Yaegl Country in places such as Angourie, Brooms Head and Red Cliff as well as Whiting Beach and Illarwill in December 2018 before the Christmas holidays. The students in this track sing about their identity and what it means to be connected to the land and the sea and being Yaegl descendants. There are some wonderful harmonies as well as individual funk. Desert Pea Media projects involve a dialogue-based storytelling process that encourages participants to analyse ‘the real’, ‘the ideal’ and ‘the bridge’. In simple terms this means critically thinking about how to create positive change for yourself, for each other and for communities. Maclean High School Deputy Principal Instructional Leader for Aboriginal students Liza Hamilton led the project for Maclean High. “This is the second project that we have been invited to collaborate with Desert Pea Media. It is a wonderful opportunity for our students. They never cease to amaze me how quickly they adapt to what was asked of them. They were all so patient and very co-operative. Some takes took over a dozen times to perfect, but they did it with minimal fuss. The project is very exciting for the school as it brings our Elders and students together and the end result is just fantastic.” Ms Hamilton said. ‘River To The Sea’ is a soulful, melodic trap anthem for people of the Clarence Valley-Yaegl Nation represent. This song is about respecting culture and tradition. It’s about recognising the impacts of history, and the generational trauma that affects First Nations people around Australia, and working together to heal and build a respectful and inclusive future. The songline is reflective and emphasises the importance of identity and who you are, and the connection to country. The students were supported throughout the project by Yaegl Elders who gave their time and stories to the students which was the foundation of the lyrics. The Elders also came and watched the filming, keeping a watchful eye on the students, as well as offering their advice and support to staff and the film crew. Much of the area in which the film was shot has great significance to the Elders as being places they played and fished as children and places they have taken their own children in passing on their knowledge. 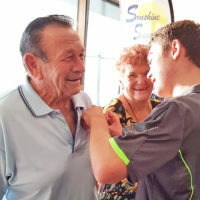 Again, this is another great example of intergenerational collaboration, storytelling and community that makes Yaegl Country what it is; a special place for everyone who is lucky enough to live here. Desert Pea Media (DPM) works with individuals and communities in regional and remote areas with a strong focus on creative engagement and outcomes through contemporary storytelling techniques, fostering important social and cultural dialogue. Over 18 years DPM has produced 150 music videos and 12 documentaries for over 70 communities. Desert Pea Media’s videos have over 3 million views on their YouTube channel.